Long Beach - Shore. Shot sometime during last year with Sigma DP2 Merrill. He works at a food canteen in my college, where I visit regularly. 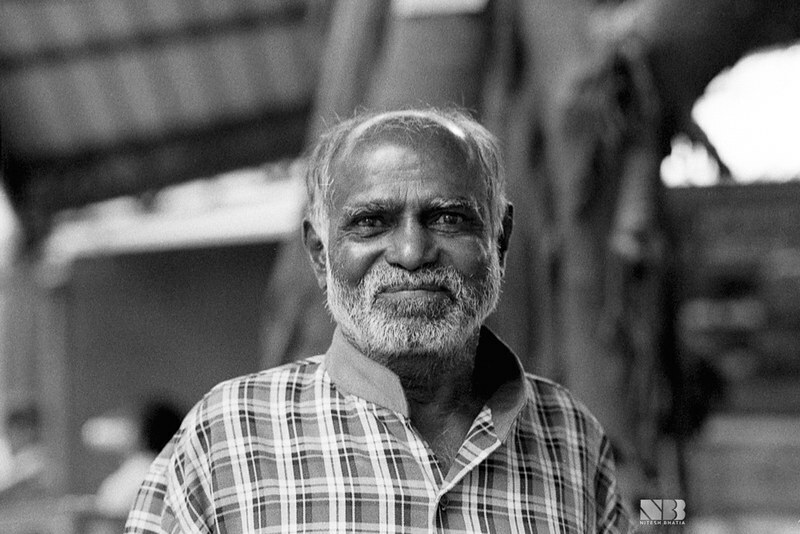 On one Sunday, while I was loading a film (HP5+) on my F80, he was starring at me with surprise - like a little kid. I asked if I could take his picture. And he smiled like this. Took this image with Nikon 85mm lens at F4. Later, I developed the roll and gave him a printed copy of this photograph. The smile was bigger this time. Location: Prakruthi Restaurant, Indian Institute of Science, Bangalore. Film: Ilford Hp5+ at EI 320 (expired 2009). Developer: 4ml (for 24 shot film) HC110 in 600 ml 20º C water. Semi Stand Development for 1 hr. 5 inversions in start then at 5 at 30th min. Scanned using Canoscan 8600F. Post-processed in Photoshop.